Is it too early to start doing business in OpenSim? We are certainly not in an age of v-commerce, though we can see it coming up on the horizon. But there are already a few ways in which organizations are doing business in OpenSim, a low-cost, open source alternative to SecondLife in which avatars can teleport between different worlds. The following overview is based on conversations with various members of the Hypergrid Entrepreneurs Group, which meets weekly in various locations in Second Life and on OpenSim grids. In general, the population of OpenSim grids is not large enough to support a big in-world economy, but most major public grids have merchant areas looking to get in early. Payment options include PayPal and PayPal Micropayments, which are the default on many public grids including ReactionGrid and OSGrid. A growing new platform from Virwox offers Second Life-style payment functionality, and even shows the account balance in the top right corner of the viewer screen. It is currently supported by four public grids in Europe. Virwox promises that its currently is freely convertible with US dollars, Euros, and even Linden dollars. Another payment platform is the G$ payment system from CyberCoinBank, but the backers of this currency will not redeem it back. Read more about in-grid payments here. Increasingly, merchants are making their wares available to anyone in the metaverse. The upside is that the merchants aren’t limited to customers from just a single grid — visitors can hypergrid teleport in from other grids, and from their private mini-grids, or company or school worlds. The downside is that when content is moved to a region where owners can give themselves administrator privileges, it is technically possible to strip permissions from assets. 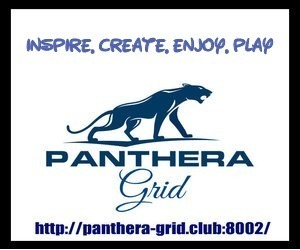 Any grid which allows region owners to have these privileges, that allows people to connect self-hosted regions, or which allows hypergrid teleports, is therefore a risky location for content creators. However, some content creators are finding that people are willing to pay for content if it is convenient and attractively organized. Schools and businesses in particular are very conscious of intellectual property rights and are willing to pay extra for guaranteed legitimate content. Content creators can also include scripts in their content that only function when the content has been bought legitimately. Finally, even on Second Life, where residents do not have access to administrator privileges — otherwise known as “God powers” — content theft is still rampant. While most stolen content remains on Second Life — since Second Life currently has millions more users than OpenSim — some of it is beginning to be pirated and moved to OpenSim worlds. Offering legitimate distribution channels will help train users to look for legal sources of content instead of forcing them to seek out shady gray-market shops which may — or may not — have the rights to distribute their wares. The World Wide Web has even fewer protections for content than OpenSim, and e-commerce has flourished despite this lack. Nonetheless, some OpenSim developers are working to improve security on OpenSim grids, and to improve the security of hypergrid teleports. For a list of hypergrid-enabled retail shopping destinations on various OpenSim-based grids, check out the retail category of our new Hypergrid Worlds directory. A much larger, and more profitable, category of OpenSim-related businesses provide design and consulting services to schools and enterprises. Consulting firms also help companies integrate OpenSim with back-end enterprise resource planning systems, corporate directories, and education and training platforms. Their institutional customers typically have much higher budgets than retail shoppers looking for virtual shoes. They are also much more careful with the content that they purchase, and take copyrights extremely seriously. Some of the players in this space are Clever Zebra, Deep Think, Second Places, Cube3, Virtual Reality Solutions, Integrated Technologies, Dataworks Studios, and Remedy Communications. Just as with the early Internet, OpenSim offers mom-and-pop shops the opportunity to offer low-cost hosting and personalized service. We’re already seeing some differentiation in this market, with companies like ReactionGrid focusing on education and enterprise customers, and other providers looking to attract retail customers looking for homesteads. Some hosting providers will help clients set up private worlds, others rent space on existing grids. Providers also provide a variety of other services, depending on their target market. Some of these services include automatic backups, hypergrid, voice, in-world currencies, groups, Web-based social networks, and other features. Some providers will also offer consulting and design services, and run marketplaces for virtual objects, tools, or entire regions. For a current list of the top OpenSim hosting providers, check our our OpenSim hosting directory.